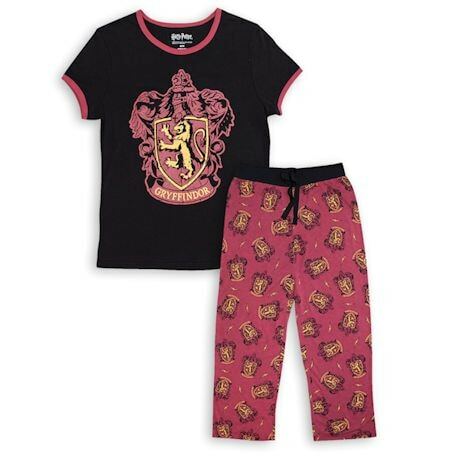 The ideal outfits for when you're hanging out in your house common room or cramming for your OWLs. 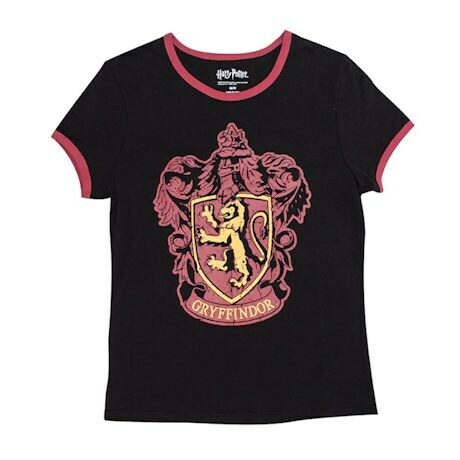 Each piece is printed with the official Gryffindor crest and a tribute to Harry's zig-zag scar. 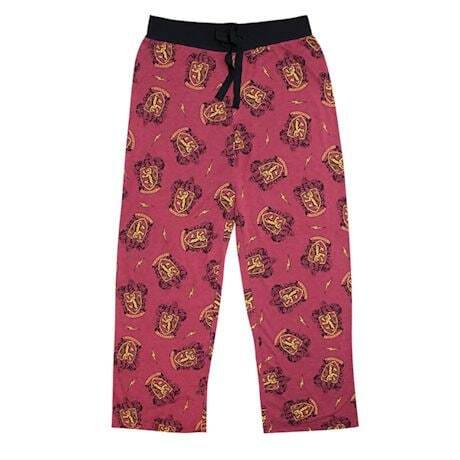 Machine wash. Women's PJ set pants come with drawstring waistband. Cotton top and 82% polyester/18% cotton blend for pants. Imported. S-XL. S(4-6), M(8-10), L(12-14), XL(16-18).